Make a List: We started by building a packing list with what we had. Leverage RTW Blogs: Don’t waste time and energy re-inventing the wheel. 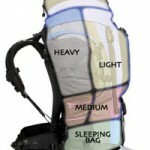 As I mentioned above, there are tons of great RTW packing lists out there. After looking through several of these, it’s pretty easy to come up with a general idea of what you will need based on the type of trip you will be taking. Focusing the Budget: Wish list in hand, it was pretty easy to separate out between (i) what we have, (ii) what we absolutely need to buy and (iii) the nice to have’s if the budget allows. Separating it out this way certainly helped us focus our budget into the areas that would garner the greatest bang for the buck. Must Have List: The “must have items” on our list focused on items that would see frequent everyday use and would give us the best gains in weight reduction and/or comfort. Squeezing Dimes out of Pennies: Lord knows performance gear these days isn’t cheap, so if you have the time, making the most of sales throughout the year can stretch your gear budget quite a bit. We filled the holes in our packing list over several months making the most of off-season and end-of-year sales events at various local and online retailers. Other once a year sale events such as “REI’s Scratch and Dent Garage Sale” are a great place to pick up the latest gear from last season at a fraction of the price. Pace Yourself: If your like me and have resorted to online shopping every Christmas because nothing is more painful than the thought of spending hours going from store to store shopping through an endless list of STUFF. Then give yourself a wide birth and start your RTW gear planning early. Planning our purchases over an extended period of time (several months) not only saved us the cost of unnecessary marriage counseling but focused our spending (and pay checks) on a few items at a time. Love It, Or Leave It: Practically speaking, with time on our side, we had the time and energy to not just find stuff that worked but find stuff we loved and will look forward to having post-adventures. If your going to invest both time and money on something you will use everyday for several months on end – take the time to get pick things that you love.